So far so good. I’ve managed to go 8 full days with nothing to drink but water, and I’ve made all of my “meals” myself. I put meals in quotes because I’ve been eating a lot of sandwiches, and not really full blown meals, but at least it’s not drive thru crap, right? 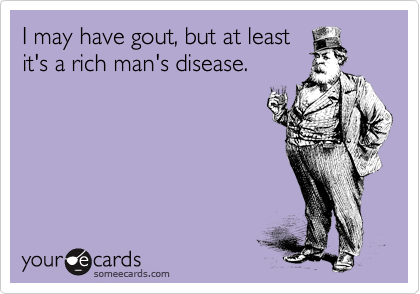 So I’ve completely revamped what I’ve been eating and drinking, yet a few days back I was soooooo close to having a good ole case of the gout flare, which is just the worst pain I have experience with. Well, besides accidentally showing your balls to a church choir, but that’s another story. Besides the gout stuff, I actually feel a LOT better overall than I have in months. I don’t want to thank the water I’ve been drinking, because about 20 years ago I was in a swimming pool, and I came up under a raft and I almost drowned. So we aren’t even CLOSE to being even, water. You still owe me. 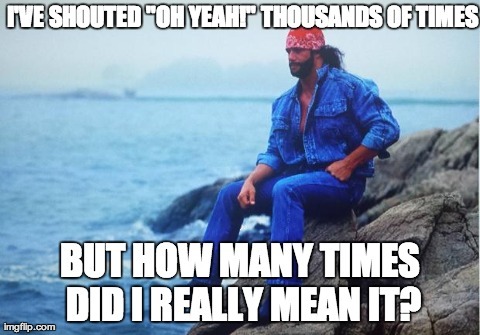 Conflicted Macho Man is conflicted. 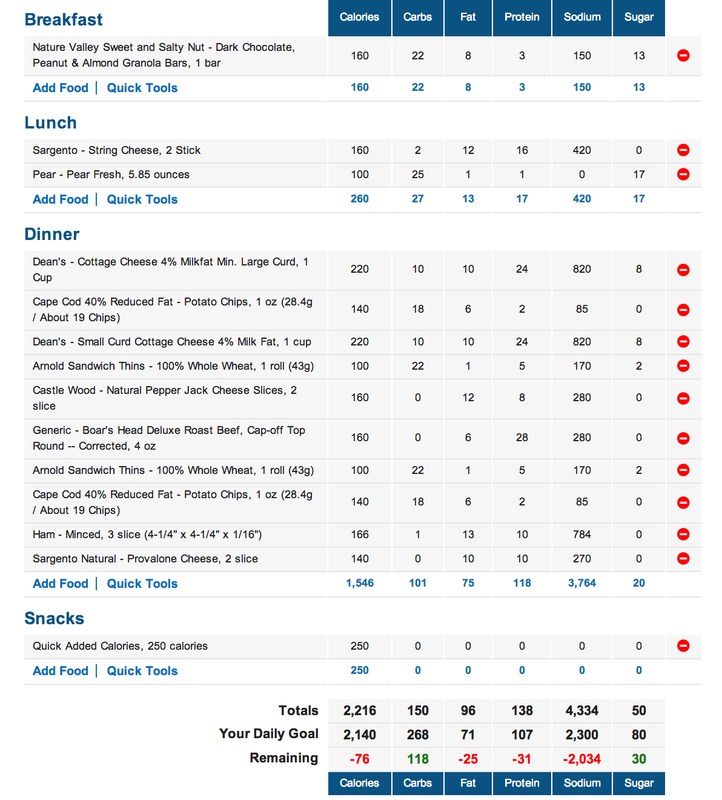 Anywhoozle…I’m feeling pretty good about all of this nonsense, and it’s been decently easy not to drink or eat like crap. Then again, it’s only been about a week. It’s a lot easier now that work is pushing 11-12 hours a day rather than 8. Also, I forgot how easy it is to use My Fitness Pal, and tomorrow I’m going to start using the Nike Fuel band again now that I can actually walk without a limp. I add everything I eat after lunch to the “Dinner” thing, normally that’s two different meals in one…but who’s counting.